This watch is a limited production piece created for the North American and Japanese markets only. We have been working on a special project for several years, as demand has been strong to create this new series. The Sinn distributor in Japan has received similar requests over the years, so we decided to join forces and create two new watches exclusively for the North American and Japanese markets. These two new watches are not limited editions, but rather limited productions. The distinction is that initially we will only receive a set number of pieces which we contracted with Sinn some time ago, but we may produce additional pieces at some point in the future. In designing these two new watches, we decided to kill two birds with one stone. We have had many requests for a Sinn 856 I model, that is one with no numerals on the dial and all indices (similar to the Sinn 556 I). 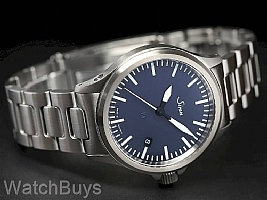 We have also received many requests for a Sinn 856 with a blue dial, so we decided to make both. 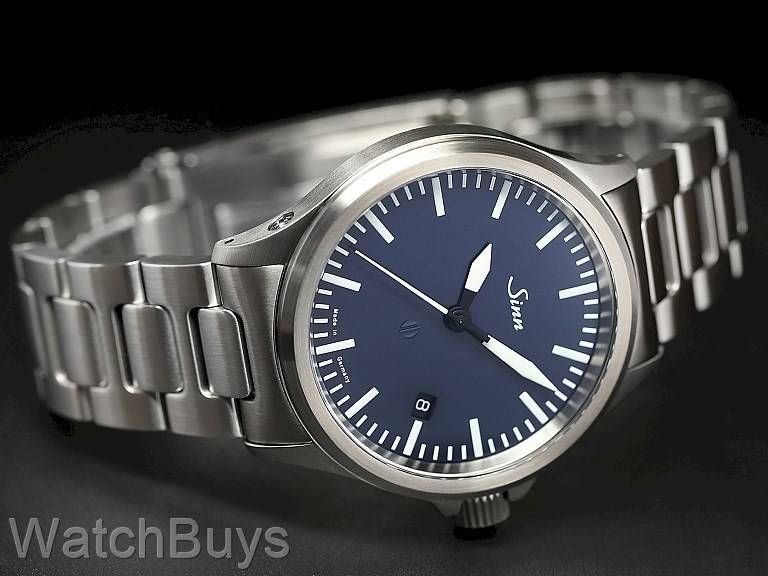 The Sinn 856 A B features a blue dial with Arabic numerals, and the Sinn 856 I B features a blue dial with indices only. Although both watches are fully Tegimented, we decided to change the case finish from the heavy bead blasted look on the standard Sinn 856 models to a satinized finish on both of these watches. The end result is striking - the new blue dials together with the satinized cases add two new Sinn watches that any collector would be proud to own, and the Tegimented hardening process ensures that the satinized finish is built to last. This watch is fitted with a fully Tegimented Sinn H-Link bracelet.